Scotland’s first community-owned distillery is also the first to be 100% powered by renewable energy. 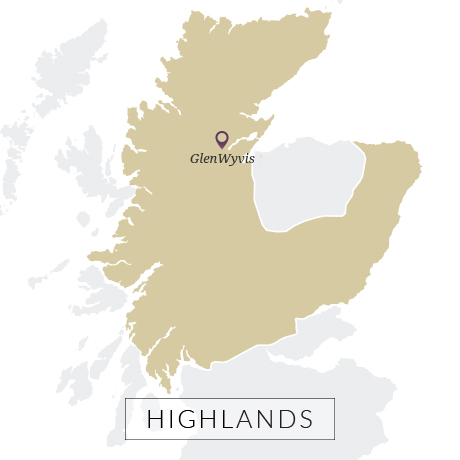 GlenWyvis is set up to produce a ‘Highland style’ yet green, grassy newmake with long fermentations and plenty of copper contact. Maturation in first-fill and refill American oak will add a sweet roundness to the final whisky, while a proportion of Sherry-matured spirit will provide a richer depth. Small in size, GlenWyvis claims to be a ‘craft’ distillery, but its redeeming feature is its 100% self sufficiency. Powered by its own wind turbine, hydro scheme, solar panels and biomass boiler, the distillery operates completely off-grid (the turbine in fact belongs to MD John McKenzie, who takes GlenWyvis’ draff for his cows as payment). It even has its own electric car and at some point in the future will offer visitors tours in its electric bus. 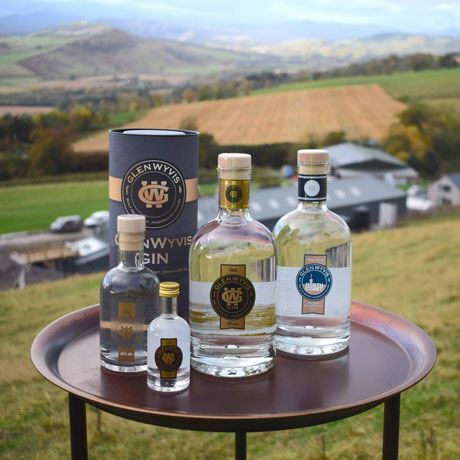 GlenWyvis can also claim to be Scotland’s first community-owned distillery, with a list of over 3,000 shareholders from the local Dingwall area and beyond. When John McKenzie retired from the army in 2002 he returned to his hometown of Dingwall and became a commercial helicopter pilot, flying VIPs and film crews across Scotland. It was during these many flights he came upon the idea of opening his own whisky distillery. Many clients were headed to the golf course, or remote distilleries on Jura, Islay or Orkney for exclusive tours, during which McKenzie learned to appreciate whisky. With a dream to breathe life back into the rural Dingwall community, in 2011 he began looking into the possibility more seriously. McKenzie already owned several acres of farmland, as well as a wind turbine, and having worked on the board of a local wind energy cooperative, he ban considering how to crowdfund Scotland’s first community-owned distillery. Planning permission for GlenWyvis distillery – an amalgamation of the lost distillery names Ben Wyvis and Glenskiach, both of which closed in 1926 – came in 2014, on McKenzie’s 40th birthday. The following year McKenzie launched GlenWyvis Gin (produced at Saxa Vord distillery in Unst) from a helicopter, the label for which carried details about how investors could get involved with the new distillery. On 16 April 2016 GlenWyvis launched its first crowdfunding campaign. Its goal was to reach £1.5m, but by the close it had reached just over £2m. The build began in January 2017, and was completed by November the same year. 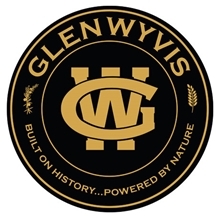 GlenWyvis distillery officially opens on 30 November 2017, and begins its commissioning process (running the mash, fermenters and stills) in the next few weeks. While some shareholders will receive a bottle of three-ear-old whisky, its first commercially-available single malt won’t be released ‘until the whisky reaches optimum maturity’. 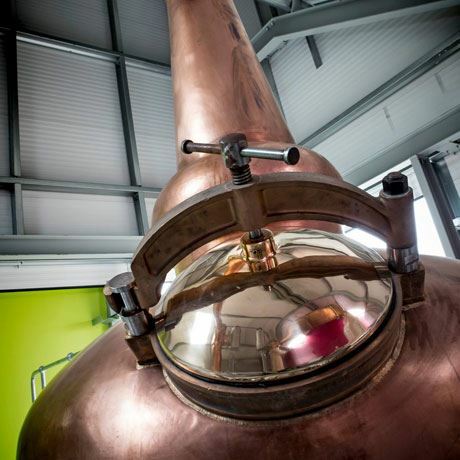 GlenWyvis’ new gin still will be installed in 2018, bringing production of its gin in-house, a majority decision made by the distillery’s 3,000 shareholders.